Newfoundland and Labrador society became increasingly complex during the reform era. Independent newspapers began circulating and allowed the public to scrutinize and discuss government policy with greater ease and freedom than ever before. Schools opened at some of the island's larger centres, while medical services became more widespread. Philanthropic and political societies grew in number and began to influence the government's decision-making process. Newfoundland and Labrador's resident population expanded and became more diverse during the reform era, 1815-1832. Watercolour by William H. Eagar. "The Town and Harbour of St. John's." Courtesy of Library and Archives Canada (Acc. No. 1989-520-6). The arts also made gains and provided residents with a heightened quality of life. Playhouses opened on the island, while local writers published texts about the colony's history, geography, flora, fauna, and other characteristics. Libraries opened, sporting events grew in popularity, and explorations were made of the island's little-known interior. The resident population also expanded and became more diverse – alongside fishers and merchants, the colony supported farmers, coopers, lawyers, shoemakers, physicians, watchmakers, journalists, bakers, carpenters, and an array of other workers. Communications made important strides in Newfoundland and Labrador during the early decades of the 19th century. In 1807, local editor John Ryan established the colony's first newspaper, the Royal Gazette. Although an important development, the paper was under license from the governor and could only publish content approved by the governor's office, making Ryan incapable of covering government policy and activities in an unbiased manner. The Gazette did print some local and foreign news, but most of its pages were devoted to government proclamations, public notices, and advertisements. Print journalism was slow to expand in the coming years, as successive governors actively opposed the establishment of additional newspapers. In 1810, Ryan's son Michael failed to obtain permission from Governor Sir John Duckworth to establish a second newspaper on the island. Three years later, Governor Sir Richard Keats turned down similar proposals from Alexander Haire and Robert Lee. Circumstances changed in 1814, when crown lawyers determined the governor could not legally obstruct the establishment of local newspapers and printing presses. Haire and Lee founded the Newfoundland Mercantile Journal one year later, which was followed by the Newfoundland Sentinel in 1818, the Public Ledger in 1820, The Newfoundlander in 1827, the Harbor Grace and Carbonear Weekly Journal in 1828 and the Conception Bay Mercury by the end of the 1820s. The Newfoundlander started printing in 1827. Courtesy of the Provincial Reference Library, Arts and Culture Centre, St. John's, NL. The emergence of an independent press made government officials more accountable than ever before for their actions. Newspapers raised local residents' awareness of local and international news and provided an effective forum for public debate. During the 1820s, for example, many papers printed letters to the editor either supporting or opposing the reform movement; two newspapers, the Sentinel and Ledger, overtly supported the movement. As the public became more vocal and politically engaged through the press, they gained more sway over government policy. Some local citizens also wrote and published protest pamphlets in which they openly criticized government structure and policy. Prominent among these were reformers William Carson and Patrick Morris, who used the medium to build support for the reform movement. Carson printed the colony's first protest pamphlet in 1811 and more appeared in the following years. Education made advancements at some of the island's larger centres during the reform era. In 1822, island merchant Samuel Codner founded the Newfoundland School Society (NSS) to provide non-denominational and affordable education for the colony's youth. The organization, which was also known as the Society for Educating the Poor of Newfoundland, opened its first school at St. John's in 1824 to teach reading, writing, math, net-making, sewing, and knitting. The society opened additional schools at Trinity, Harbour Grace, Carbonear, Petty Harbour, and Quidi Vidi within the next two years. By the end of the decade the society was operating 28 day schools across the island with a total enrollment of 1,513 students. It also maintained various Sunday schools, as well as adult evening classes in religious studies. 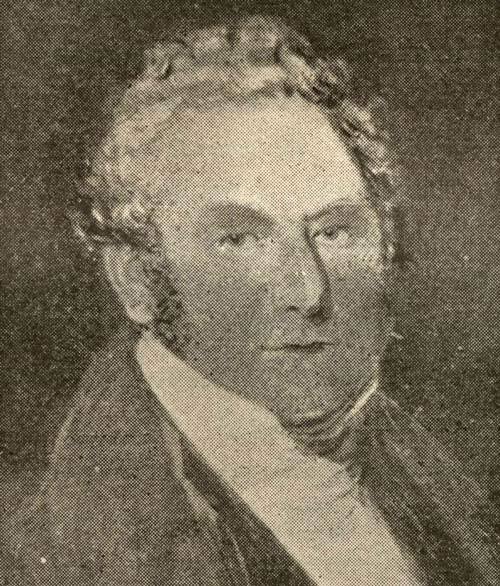 Newfoundland merchant Samuel Codner founded the Newfoundland School Society (NSS) in 1822 to provide non-denominational and affordable education for the colony's youth. From D.W. Prowse, A History of The Churches in Newfoundland by Various Writers - A Supplement to A History of Newfoundland from the English, Colonial, and Foreign Records, 1st edition (London: Eyre and Spottiswoode, 1895) 7. Print. Alongside the NSS, the Benevolent Irish Society, Moravian Church, and Society for the Propagation of the Gospel in Foreign Parts (SPG) also promoted education in the colony. The Benevolent Irish Society opened a charity school (known as the Orphan Asylum School) at St. John's in 1823, while the SPG was operating 13 schools across the island by 1826. The Moravian Church also provided educational services in Labrador for the local Inuit population; its curriculum included reading and writing classes in Inuktitut. Health care also made strides in the early decades of the 19th century. 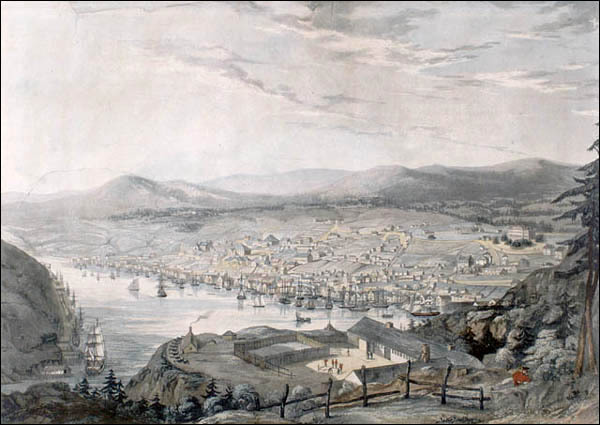 By 1815, St. John's and some larger centres in Conception Bay were populous enough to support resident physicians and surgeons. Clergy often doubled as health-care providers in many smaller outports, where they administered vaccines and treated a variety of medical conditions. Midwives and Moravian missionaries provided medical services in Labrador. Alongside supplying medicines imported from Britain and elsewhere, some missionaries also performed amputations and other emergency operations. The colonial government also tried to improve health-care services on the island. In 1826, it hired the colony's first District Surgeon to care for residents who could not afford medical services. Among the most common ailments the surgeon treated were smallpox, typhus, and measles. The government also established quarantines at various island ports to prepare for possible future epidemics. Political and philanthropic societies became more popular during the reform era and helped to give members a greater say in government policy and community developments. 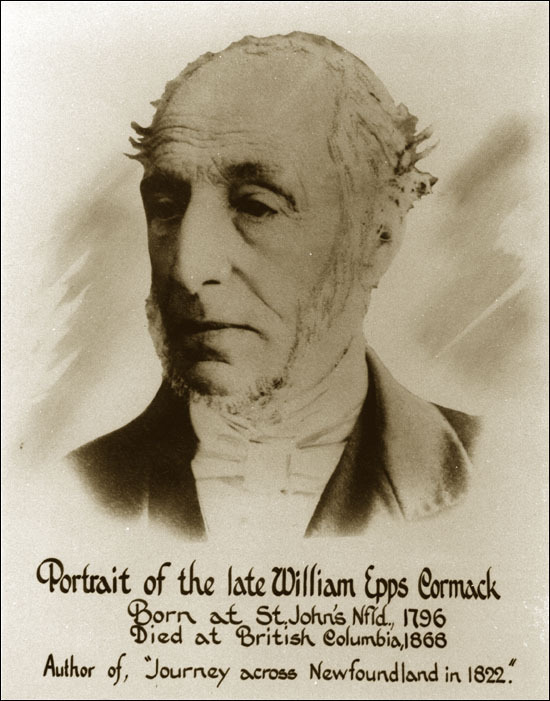 Skilled tradesmen working in St. John's established the Mechanics Society in 1827 to promote the interests of local tradesmen and their families. The group ensured the families of injured or deceased tradesmen received financial support; it also sought to provide training and educational services for working men. A variety of charitable organizations also emerged between 1815 and 1832. Prominent among these were the NSS and the St. John's Dorcas Society, which formed in 1824 to distribute clothing to poor families. Arts and culture made strides during the early-19th century. Acting troupes had been performing amateur theatre at St. John's since at least 1806 and the city's first playhouse opened in 1817, but burned down that same year. A second playhouse, the Amateur Theatre, opened in 1823, while Harbour Grace established its first theatre in 1824. Local literature also emerged as some of the colony's first resident writers began publishing works during the reform era. In 1819, for example, Reverend LA Anspach published A History of the Island of Newfoundland: Containing a Description of the Island, the Banks, the Fisheries and Trade of Newfoundland and the Coast of Labrador. The publication was one of the earliest texts describing the colony's history, economy, and geography. Five years later, explorer and St. John's resident William Cormack published a description of his 1822 trek across the island in the Edinburgh Philosophical Journal. He later expanded and republished the account in 1856, under the title Narrative of a Journey across the Island of Newfoundland. Libraries or public reading rooms had also opened in St. John's and Harbour Grace by the 1820s, while book clubs were growing in popularity in larger centres on the Avalon Peninsula. Explorer William Cormack described his 1822 trek across the island of Newfoundland in the Edinburgh Philosophical Journal. Courtesy of Archives and Special Collections, Queen Elizabeth II Library, Memorial University of Newfoundland, St. John's, NL. Sporting events became increasingly widespread during the first three decades of the 1800s. Prominent among these was the St. John's Regatta, an annual rowing competition that began in 1826 and continues to this day. Horse races also occurred regularly in St. John's by 1818, while cricket was commonplace by the 1830s in St. John's, Carbonear, and elsewhere on the Avalon Peninsula. For other related articles view the Government Reform Era section of the Government and Politics Table of Contents.